About the Exeter Gauge O Group 25 years Old in 2018. 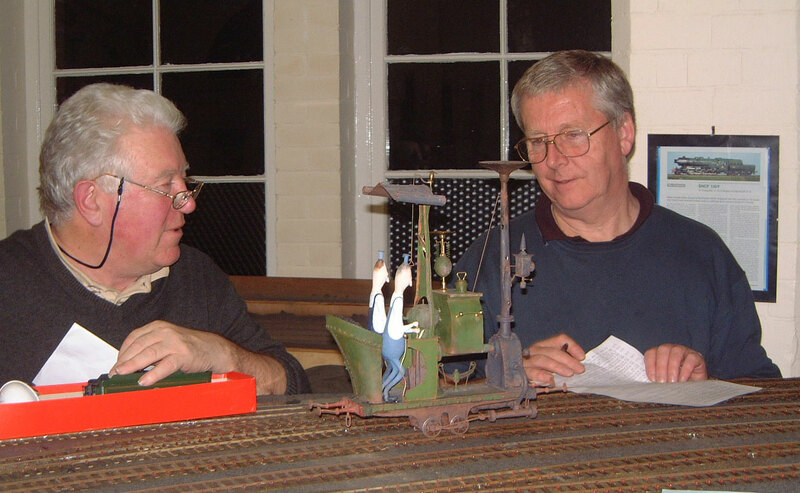 The Exeter Gauge O Group (ExeGOG for short) exists to cater for modellers in the Exeter area of Devon, working in or around 7mm scale, standard and narrow gauge. Our members have a wide and diverse range of prototype and modelling interests, and at the last count we had people working in SIX different gauges! Geographically the group covers a very wide area, with our members travelling from South and East Devon, and Somerset. 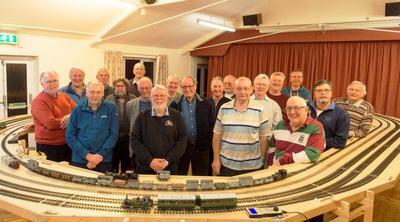 All centralising on Whimple! 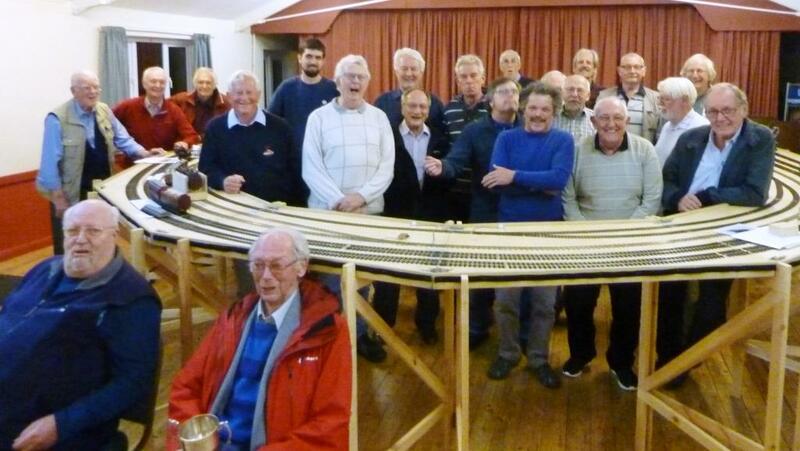 We meet at The Victory Hall in the village of Whimple near Exeter, (close to the M5 and A30/303 dual carriageway) usually on the first and third Thursday Evenings of the month. Please contact us or check the diary pages before coming, to check what is happening. 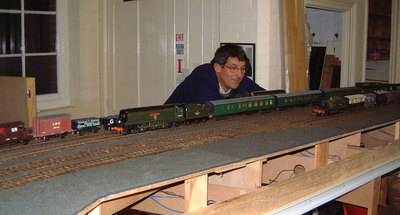 The Group has a large multi-gauge test track featuring standard and narrow gauge, with a circuit of approx. 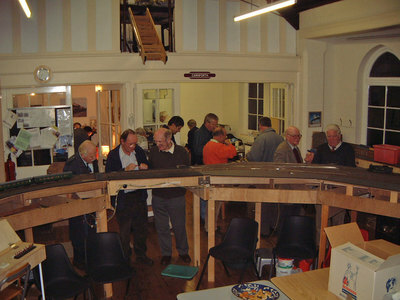 22 metres, available for running at most meeting nights. 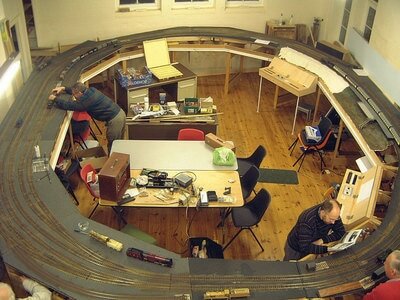 Currently the layout features three gauges, with the potential to add two more! Also on Club nights we hold regular modelling “Clinics” on various subjects, for developing skills and sorting out that difficult kit. Regular annual events include the Modelling Competition, Bring & Buy sale, Christmas Meal etc. 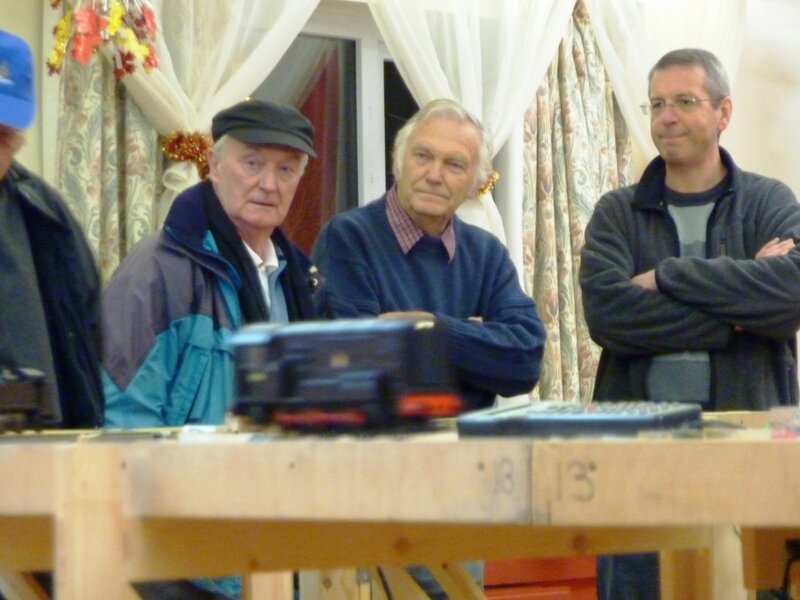 ​Meetings usually conclude with a visit to the nearby village Pub. In addition we have a portable Display-Stand which we use to “fly the flag” at local Exhibitions. 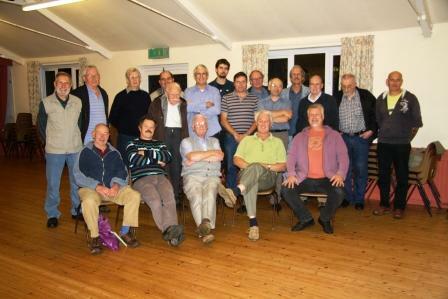 The group was founded in the early 1990s, and for several years enjoyed a permanent base in Exeter, thanks to the generosity of President and Founder-Member Jim Harries. Here we had a large layout, lounge, kitchen, library facilities etc. Sadly Jim died in 2010 and we had to move out. In the absence of permanent premises, we eventually settled on the bright and modern Victory Hall in Whimple with its excellent facilities. 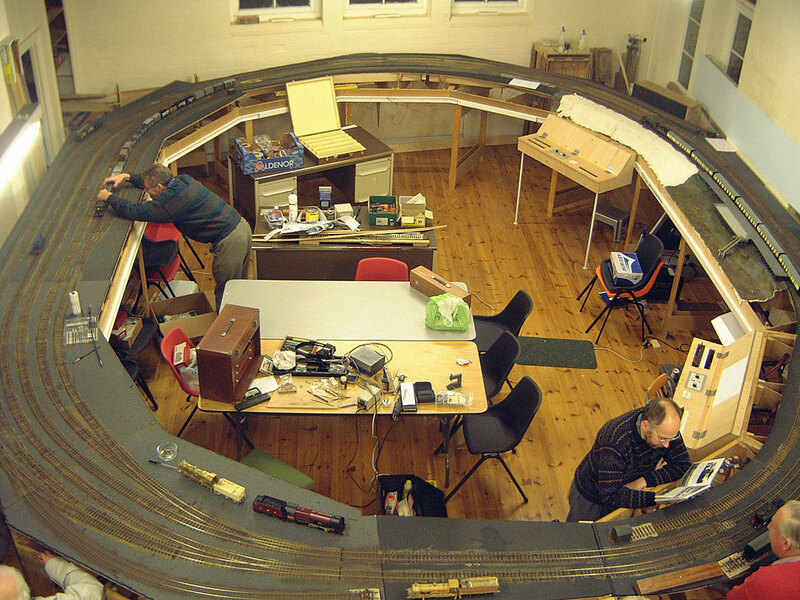 Here we could hold regular meetings and have the use of vital storage space to keep a portable layout. 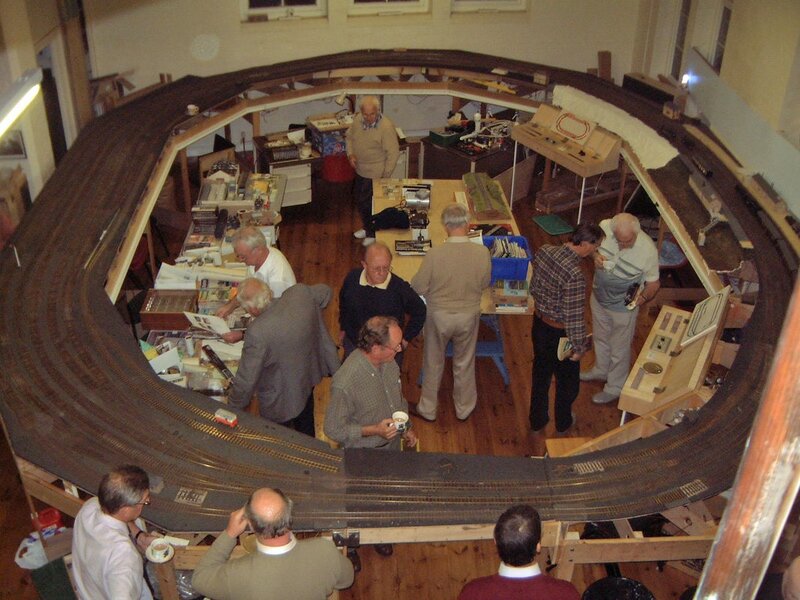 For some time we had the generous loan of The Yeovil Club’s spare Test-Track to sustain running facilities while we designed and built our own layout, which is now fully operational. If you are interested in coming along, please use the Contact Link to check what is happening.